A lot of photos to sort through but this was from the start of the trip. 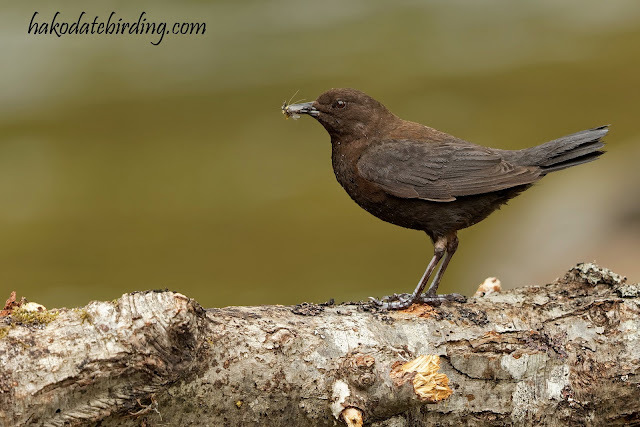 A Brown Dipper, the east Asian species of Dipper that is common on almost every local river (upstream at least). They appear to be difficult to photograph wherever they are though. I have seen this species but once, in Bhutan. I have been to several other “reliable”places on trips to Asia, but have never run into it again. I guess it was the same one I saw in Nepal: I was a bit slack re bird ID in my 20's though.